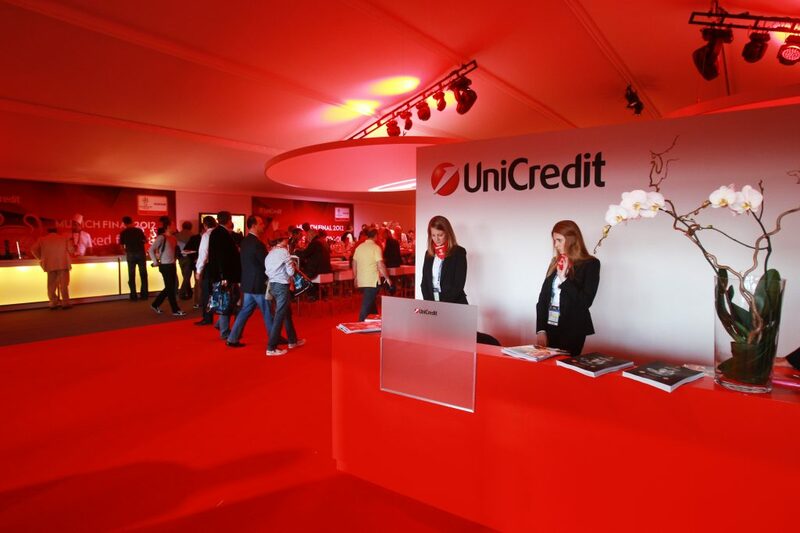 We exhibited numerous sponsors during the state-of-the-art Sponsors Hospitality Village for the UEFA Champions League Finals in Munich. 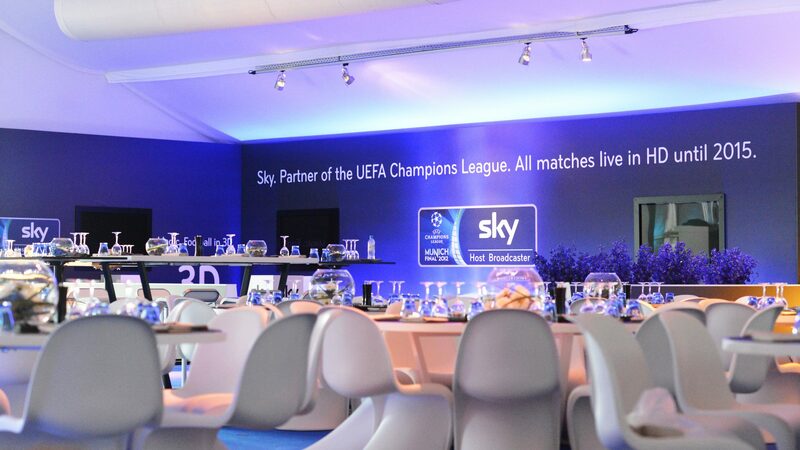 Iventions designed and managed the exhibits for the 15,000 m2, state-of-the-art Sponsors Hospitality Village for the UEFA Champions League Finals in Munich (link to Event). 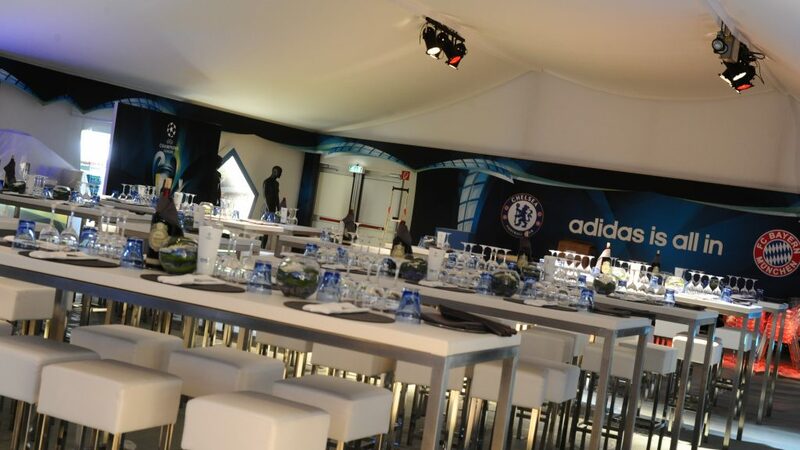 This ‘Champions Village’ hosted around 6,000 VIP guests of different UEFA sponsors. 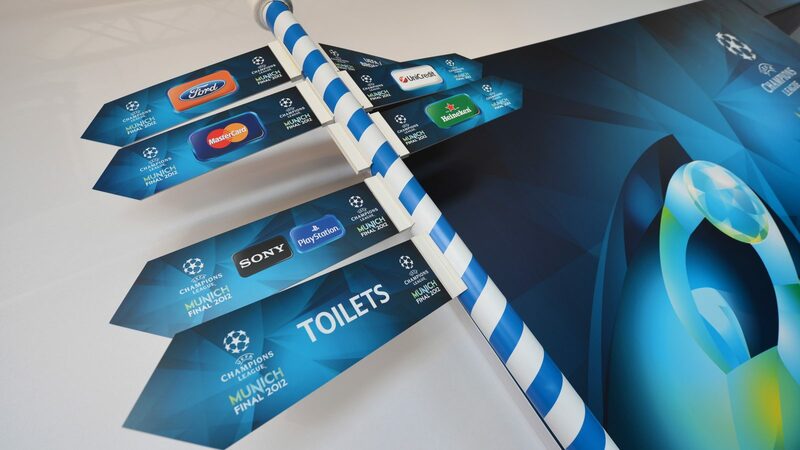 Sponsors included Heineken, Adidas, MasterCard, Ford and UniCredit. 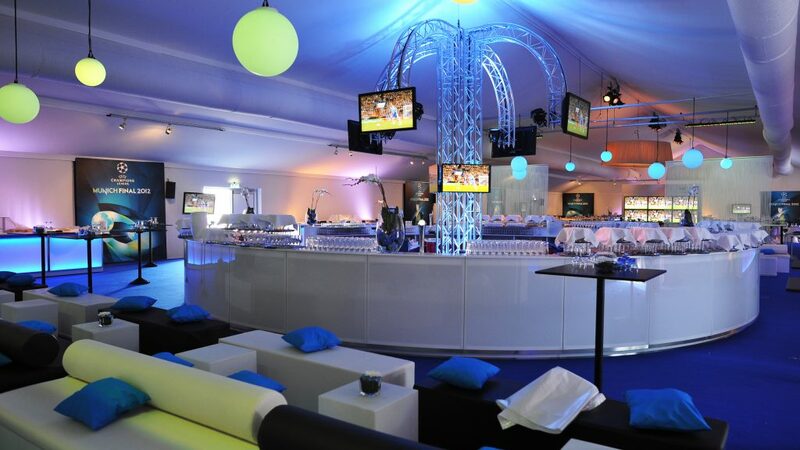 This was one of the largest hospitality facilities for an annual sports event in Europe. We collaborated with individual clients to showcase their brand in an innovative and creative way, within the Champions Village. At the Allianz Arena, we generated good solutions and magical interior builds within close partnership with each individual sponsor. Local German regulations and strict fire-safety restrictions were always honoured. 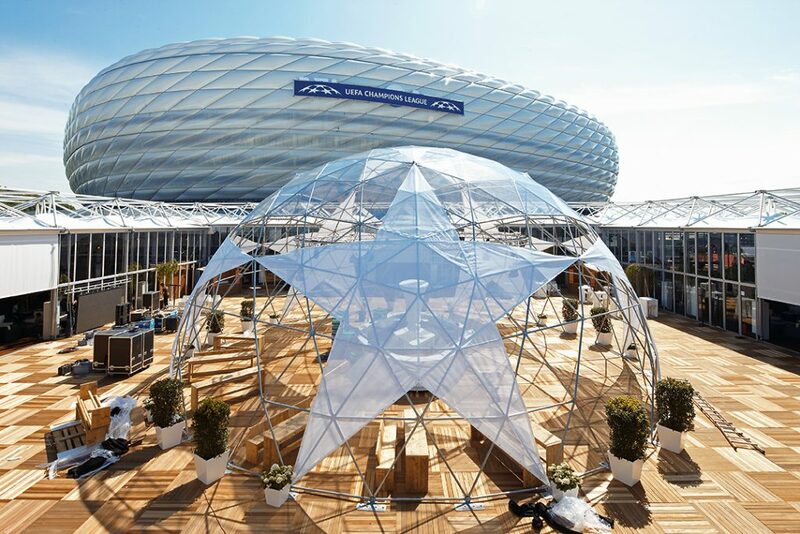 The Champions Village was one of the largest temporary hospitality villages ever made – a parking lot transformed into a complete UEFA community. 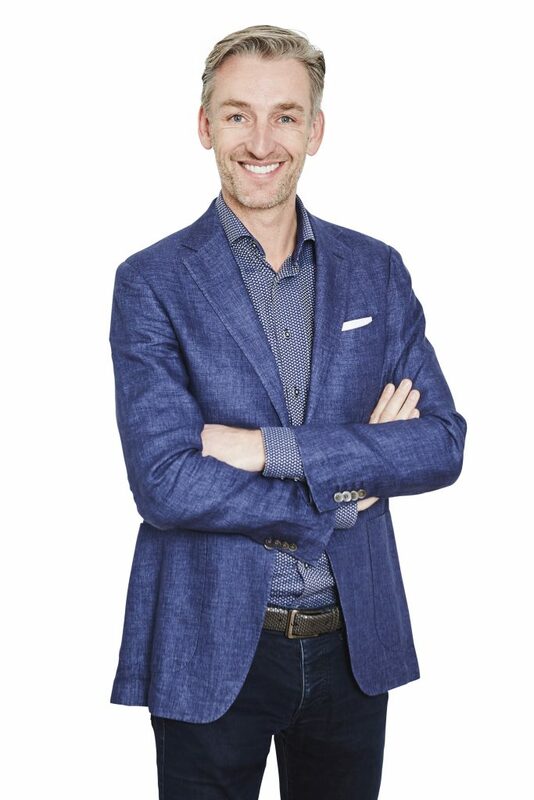 Thanks to its planning process, transparent cooperation approach and high-profile track, we are convinced that Iventions is a very reliable partner. In six weeks’ time, Iventions transformed a parking lot into a fully functioning city, delivering every aspect, from toilets to tech. 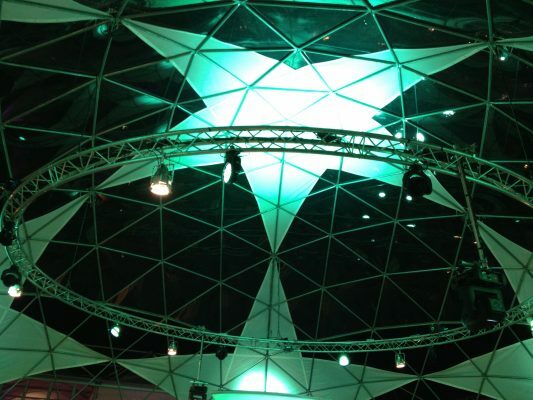 In addition, each sponsor booth contained their own unique captivating ambiance – for example, for Heineken and MasterCard we designed completely different worlds. 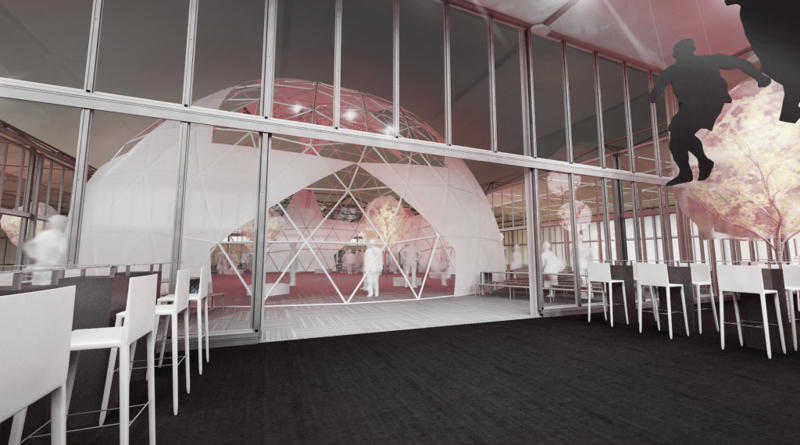 Listening to the wishes of the client, we set up experiential and turnkey exhibits focused on the specific brand. 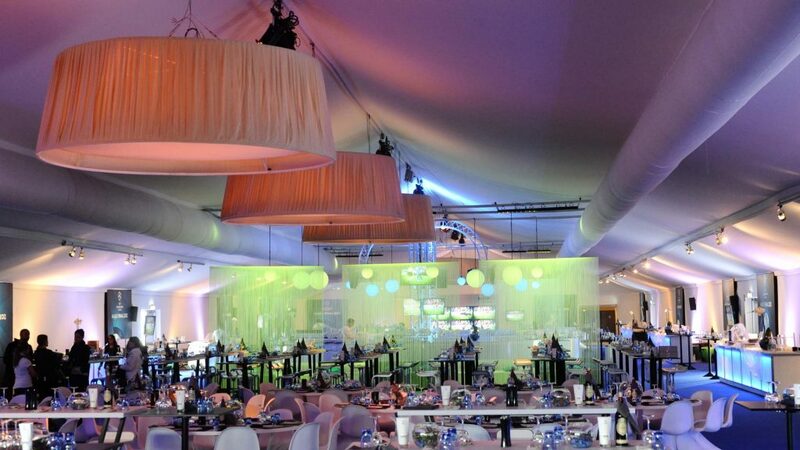 We developed graphic elements, bars, interior elements, blow-ups, custom carpets and brought in on-trend furniture. In short, we covered every aspect, from wall division to ceiling. 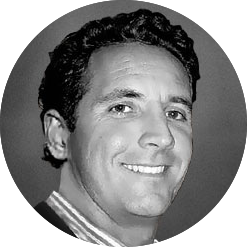 Working on the biggest sports’ event of the year, we wanted to correspond that significance to the guest experience. 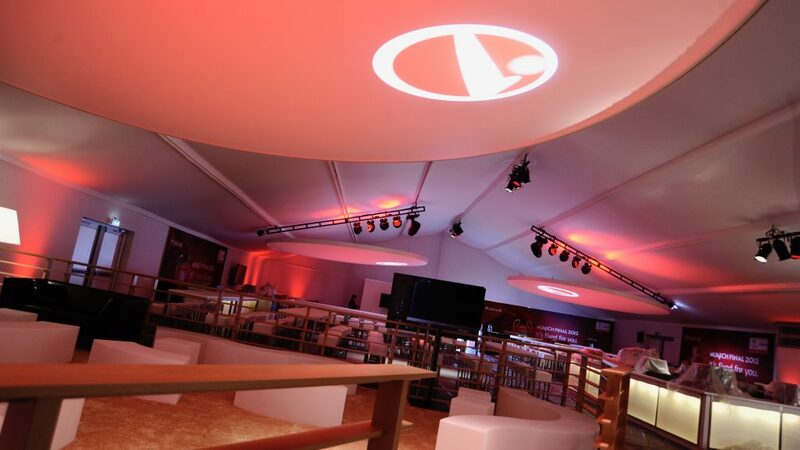 As every brand is different and expects quality engagement, we took care in producing tailor made exhibits. In addition, we provided each brand with their personal project manager, speaking the sponsor’s own language and delivering excellent service. 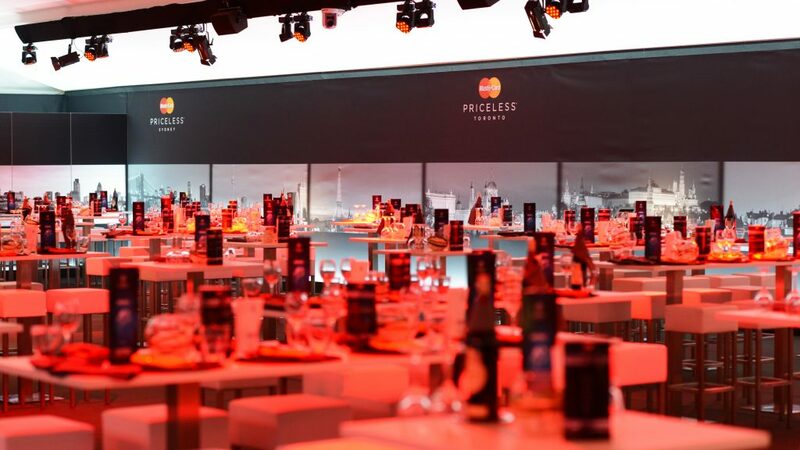 Managing this experiential UEFA Champions League Finals Hospitality Village event, Allianz Arena’s Director named us the most pleasant company they have ever worked with. A client so pleased after such an advanced process: definitely one of the highlights of our existence as a young company.